ArabSaga: Syria: Can Annan’s new rabbit fly? 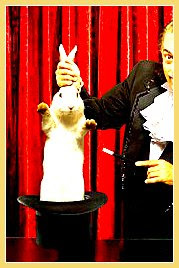 Much like a magician, Kofi Annan, the international troubleshooter for Syria, has pulled a second rabbit out of his hat. It took about three months for his much-trumpeted six-point peace plan to be declared dead and buried together with more than 3,000 Syrian men, women and children. We’re now into his more ambitious brainchild – a roadmap for establishing “a transitional unity government in Syria” to be discussed tomorrow in Geneva. Nice try. But, in my opinion, this new rabbit just won’t fly either. Raghida Dergham, the political analyst and diplomatic correspondent in Washington and at UN headquarters in New York for pan-Arab daily al-Hayat, does not exactly share my view and hedges her bets on Annan’s new blueprint. Annan outlined his roadmap to the parties meeting in Geneva in a non-paper, or a text for negotiation, entitled “On Guidelines and Principles of a Syrian-led transition.” UN correspondent Nabil Abi Saab was able to obtain the document and publish it overnight on his blog UN Report. -- Is reached rapidly without further bloodshed and violence and is credible. -- Is genuinely democratic and pluralistic, giving space to established and newly emerging political actors to compete fairly and equally in elections. This also means that the commitment to multiparty democracy must be lasting one, going beyond an initial round of elections. -- Complies with international standards on human rights, the independence of the judiciary, accountability of those in government and the rule of law. It is not enough just to enunciate such a commitment. There must be mechanisms available to the people to ensure that commitments are kept by those in authority. -- Offers equal opportunities and chances for all. There is no room for sectarianism or discrimination on ethnic, religious, linguistic or any other grounds. Numerically smaller communities must be assured that their rights will be respected. -- The establishment of a Transitional Government of National Unity, which can establish a neutral environment in which the transition can take place. That means that the Government of National Unity would exercise full executive powers. It could include members of the present government and the opposition and other groups, but would exclude from government those whose continued presence and participation would undermine the transition and jeopardize stability and reconciliation. -- It is for the people to determine the future of the country. All groups and segments of society in Syria must be enabled to participate in a National Dialogue process. That process must not only be inclusive, it must also be meaningful, that is to say, its key outcomes must be implemented. -- On this basis, there can be a review of the constitutional order and the legal system. The result of constitutional drafting would be subject to popular approval. -- Once the new constitutional order is established, it is necessary to prepare for and conduct free and fair multiparty elections for the new institutions and offices that have been established. -- Women must be fully represented in all aspects of the transition. -- Consolidation of full calm and stability. All parties must cooperate with the Transitional Government of National Unity in ensuring the permanent cessation of violence. This includes completion of withdrawals and addressing the issue of the disarming, demobilization and reintegration of armed groups. -- Effective steps to ensure that vulnerable groups are protected and immediate action is taken to address humanitarian issues in areas of need. It is also necessary to ensure that the release of the detained is completed rapidly. -- Continuity of governmental institutions and qualified staff. The public services must be preserved or restored. This includes the military forces and security services. However, all governmental institutions, including the. intelligence services, have to perform according to human rights and professional standard and operate under a top leadership that inspires public confidence, under the control of the Transitional Government of National Unity. -- Commitment to Accountability and National Reconciliation. Accountability for acts committed during the present conflict must be addressed. There also needs to be a comprehensive package for transitional justice, including compensation of rehabilitation for victims of the present conflict, steps towards national reconciliation and forgiveness. -- The sovereignty, independence, unity and territorial integrity of Syria must be respected. -- The conflict must be resolved through peaceful dialogue and negotiation alone. Conditions conducive to a political settlement must now be put in place. -- There must be an end to bloodshed. All parties must re-commit themselves credibly to the six-point plan. This must include a cessation of armed violence in 'all its forms and immediate, credible and visible actions to implement items 2-6 of the six-point plan. -- All parties must now engage genuinely with the Joint Special Envoy. The parties must be prepared to put forward effective interlocutors to work expeditiously towards a Syrian-led settlement that meets the legitimate aspirations of the people. The process must be fully inclusive to ensure that the views of all segments of Syrian society are heard in shaping the political settlement for the transition.